Don D. Sunderland is a partner who practices in the areas of bankruptcy and insolvency matters. Don is continually advising clients with problems involving debt from both the debtor and creditor perspectives. He has represented or is currently representing in Chapter 7, 11, and 12 proceedings debtors in possession, creditors, committees and trustees. Don’s representation of banks and financial institutions is extensive and includes advising and trying matters in connection with judicial and non-judicial remedies in commercial transactions. This includes foreclosures of liens and interests against real and personal property, Uniform Commercial Code, Article 9 secured transactions, including creation, perfection and priority of security interests, default and remedies in connection with secured transactions, collection of judgments, executions against real and personal property, and writs of garnishment, lender liability defense and litigation involving preference, discharge and fraudulent conveyance claims. 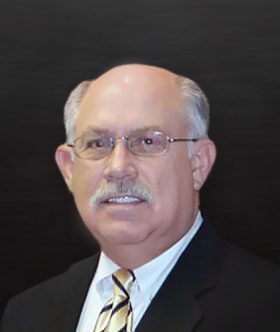 Don received his undergraduate degree in political science from the University of Oklahoma. He later received his J.D. from the University of Oklahoma College of Law.